Welcome home to sophisticated elegance in McKenzie. This 6 bedroom, 5 1/2 bath home has an open floor plan boasting a gourmet kitcen that opens onto a sun-filled family room with beautiful fireplace. The first floor also includes a private dining room, formal living room, walk-in pantry, butler's pantry and mudroom. The second level includes the large master bedroom with ensuite bath and his & her walk-in closets. There are three more generous bedrooms (one with ensuite bathroom) and a jack & jill bathroom. The top level features a large bedroom, full bathroom and bonus room. The lower level includes a spacious and bright recreation room with wet bar, dishwasher and stone fireplace. There is also another full bath, large bedroom, excercise room and wine room. Entertian in the summer in the charming backyard with paver patio. Enjoy the integrated A/V throughout the home. 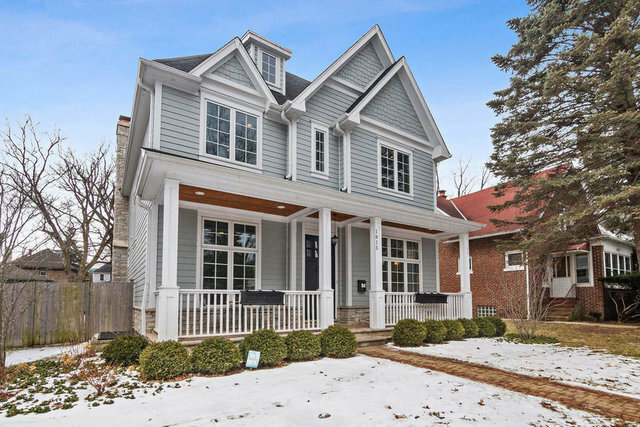 All this and in an award-winning school district with everything that downtown Wilmette has to offer.